This entry was posted in Uncategorized on February 21, 2014 by bhhawaii. I am posting a blog written by (oddly enough) another Debbie Bayer. I did not write this but found it to be so profound and oddly coincidental, given the author’s name, that I had to share. In the wake of the tragic loss of Phillip Seymour Hoffman, a great artist, partner, father, brother, and son, I offer the following facts about the neurological disease of addiction. The overwhelming majority of adults in the western world have passed through experimental stages in their lives where they have dabbled with some kind of brain altering addictive substance, i.e., cigarettes, alcohol, prescriptionpain killers, ADHD medication, anti-anxiety medication, and yes, even marijuana (save the ‘it’s not addictive” arguments for later, please). And the overwhelming majority of these adults will emerge from their experiments unscathed, believing that their free will and good choices are what saved them from becoming addicted. The problem with this thinking is that it is factually incorrect. In other words, they are all wrong. What saved them (you) from becoming addicted is that their brains did not respond in the same way that an addict’s brain does. They were born with a resistance to addiction. Their free will and good choices had nothing to do with it. It is time for all of us who got through unscathed to stop patting ourselves on the back for our genetic good luck, and it is time to stop judging those who were not born with the same good genes as defective. Let’s look at these ideas through the lens of how the brain actually works. Yes, he “knew better.” He ‘knew better’ in the frontal lobes of his brain, where we all execute our better judgment and can make calculations of our behaviors and circumstances based on risk and reward. Here’s the problem, the activity of our frontal lobes can be shut down by the other parts of our brain when there is significant stress in our body. This comes from what is called the “fight, flight, freeze, or faint” mechanism. This mechanism in the brain is hard-wired into each of us for survival purposes. It is the part of the brain that puts someone into shock when they have been injured and/or traumatized. It is also the part of the brain that can allow a person to lift a car by themselves if their loved one or someone they care about is in danger. The brain does not analyze the type of stress it is experiencing, that is, this ‘fight or flight mechanism’ is binary. It functions on a “yes” or “no” basis. ”Yes,” there is enough stress to activate the mechanism or “no,” there is not enough stress to activate the mechanism. Human beings have no control over when this mechanism is activated. This is how PTSD works. Seemingly innocuous sights, sounds, smells or sensations trigger this brain mechanism even when there is no actual threat to the person. The stress in the body is not even consciously recognizable to the person with PTSD. The brain reacts to the trigger and the person is put into the experience of being threatened without choice or control because the frontal lobes cannot get their signals through. When this mechanism is activated free will and choice become impossible. This is true for each and every human being on the planet, whether we like it or not. The brain of an addict, Phillip Seymour Hoffman in this case, experiences withdrawal symptoms as stress. And since it operates on a binary system, it does notsort out “good” stress (I’m so sick because I’m kicking heroin-good for me!) from “bad” stress (I’m so sick because I’m kicking heroin I’d better call a doctor). The brain only knows if the stress is present or not and how much stress is present. When withdrawal symptoms, i.e., physical distress, anxiety caused by emotional stress, etc. reach a certain point in the brain, the brain automatically cuts off the access to the frontal lobes (in a manner of speaking) and begins to direct the body rebalance the stress, to find equilibrium, so that the brain can return to “normal” functioning. “Normal” functioning to the brain of an addict is defined as having the addictive substance in the body. So while any relapsing addict “knows better,” the addict literally cannot access the part of his brain where his/her better judgment is stored. The addict loses his choice and free will and is at the mercy of his brain which is in extreme stress and working to regain it’s equilibrium, at any cost, i.e., get more of the addictive substance. The idea of losing choice, of relinquishing free will, is unthinkable to most of us, especially those of us fortunate enough to live in the U.S. where we have so many choices in so many areas of our lives. Also, human consciousness defends heavily against the possibility of ‘no choice’ which is paradoxical considering we each carry a brain mechanism that removes choice, but I digress. Suffice it to say that according to our brain physiology, choice and no choice are equally important to the survival of the species. The problem is that we humans are only conscious of the importance of choice (and the free will to make those choices). Over the centuries, mankind has had tremendous difficulty acknowledging and treating brain disorders of all kinds. And we haven’t made much progress in our supposed “enlightened” age of civil rights either. Consider this, it was less than 50 years ago that 90+% of those born with Down’s syndrome were institutionalized for life. Also, in spite of (or maybe because of?) a tremendous increase in the diagnoses of brain disorders in the last 40 years, all but a small percentage of treatment centers and publicly funded programs for treatment have been permanently shut down. What we have on our hands in the U.S. is a mental health, i.e., brain health, crisis. This is abundantly clear to us every time someone with a serious brain disorder buys an assault rifle. Actually, those instances are but the tip of a gigantic iceberg. And even though we have had great breakthroughs in neuroscience, we are woefully lagging behind in treating people who suffer and offering support to their families. How did this happen? There are more than a few ways to answer that question. One of the important answers is that we are naturally defensive against the idea that brain disorders which disconnect us from our free will exist. It’s too frightening an idea to consider, so we come up with stories. A century or more ago our stories revolved around the idea that the person suffering was possessed by demons, and that these demons ran in the family. Perhaps the person’s mother was possessed? May she was a witch? Someone in that family must have sinned and now they are being punished, etc. It was stories like these that ran so strongly through our cultures that families up until, well now, actually hid loved ones away in mental institutions and even disavowed knowledge or connection to them in order to avoid the stigma that would be placed on the healthy family members also. Outside of these few of the many neurological disorders that exist we lose all compassion and concern for people and their families who are suffering, and we tell a modern day version of the demon possession story about them. We continue to isolate and reject people suffering from a physiological disorder of the brain and force their families and loved ones to bear the lifetime burden of their care in shame and silence, in 2014, in the wealthiest nation the planet has ever known. Our stories about these people who look so normal, so successful, on the outside but whose lives come crumbling down upon them or are cut ridiculously short no longer revolve around possession by evil spirits but by a defect in their character (selfish, lazy, greedy, arrogant, gluttonous, apathetic, hedonistic, etc. ), a defect in their temperament (evil, violent, narcissistic, vain, eccentric, etc.) or a defect in their judgement or intelligence (immature, moron, idiot, being an a**hole). In the absence of knowledge about how the brain functions these stories created theories about the causes of these behaviors (moral corruption, low character) and consequences which mirrored our cultural value system (it’s their own fault, they got what they deserved). Out of our stories came ideas on how to avoid these behaviors (work hard, believe in God, be kind to others), consequences of these behaviors (why goes around comes around, God helps those who help themselves) and systems of support to uphold the implementation of these ideas (church, 12 step, therapy). Sometimes the theories, ideas for correction and the support systems even work, but sadly, not most of the time. All of the above stories/theories are normal individual and cultural adaptations to the unexplainable. This is how we humans learn and grow. Gratefully, these days few if any people think a person with a phobia has had a spell cast upon him by a witch and now needs an exorcism while the family and neighbors have to find and lynch the witch. What we fail to see is a) how self-serving these old stories are, and b) how ineffective our current treatment modalities are (see #a). Our theories about addiction don’t really exist to explain the illogical behavior of someone who is suffering, but mostly to separate ourselves from that behavior with the assurance that what has happened to that “loser” won’t happen to us. And when the need to distance ourselves from that “loser” is satisfied we don’t bother to fact check our theories. Nor to we bother to notice if the treatment schemas we’ve created even work (they don’t). Rather good proof that our theories are self-serving, don’t you think? We also fail to notice the fear and sadness that comes up for us when we hear of the tragedies that befall those with high-functioning neurological disorders, especially now. 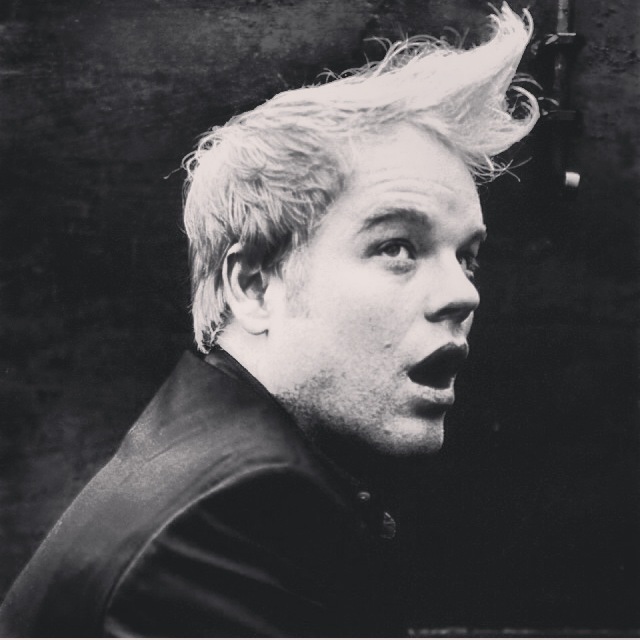 It’s 2014 and tragedies like the death of Phillip Seymour Hoffman have been happening steadily for 40+ years, with no end and no answer in sight. In light of this kind of repetitive hopelessness we are left with little choice but to blame the victims in order to soothe ourselves. And it is difficult, if not impossible to create solutions in the presence of hopelessness. The mental health/brain disorder crisis we are facing right now, this decades-long epidemic, is with the so-called high-functioning neurological disorders, i.e., depression, anxiety, bi-polar, ocd, anorexia, bulimia, and addiction (I have left out more than a few of the disorders, but these are the most familiar of the lot). However, neuroscience is offering us the best reason to hope for good treatment outcomes in decades. The more we learn about how the brain works (like when the fight/flight mechanism is activated) and how it works when it is “broken” (fight/flight mechanism too easily triggered in addicts) the easier it will be for people who have these brain glitches to be identified and treated without shame and blame. The first, most effective way to face our cultural crises of too many people with brain disorders being undiagnosed and untreated is to educate ourselves about these disorders and learn to spot the people who are suffering so that we can help them understand what is wrong with them and help them to agree to receive treatment. We have to change our cultural view of addiction and the like before we can create more effective treatments for it and the other high-functioning neural disorders. The change has to come from those of us who either do not have the disorders or have been successfully treated for the disorders because those with the disorders are not able to help themselves. I like to say it this way, the last person to know that his brain is broken is the person with the broken brain. This is just the way human consciousness works. The only organ in the body that seems to make self-diagnosis impossible is the brain. I mean there is no mistaking a kidney stone trying to pass. When someone is in that kind of pain they don’t blame it on their lack of character. But the brain is expert at being able to reframe and explain away its own glitches. Whatever isn’t working in a person’s brain is that person’s “normal.” Over time people with high-functioning neurological disorders develop plausible explanations for their symptoms and adapt to them as best as they can. And when life problems that are obviously (to those around them) connected to their neurological disorders become apparent on the outside of their lives (car accidents, drained bank accounts, lost jobs, broken marriages, etc.) they usually blame their own character defects or someone or something else. Therefore, the person with the problem is the least likely to be able to get themselves the help they need. The way to begin to help people like Phillip Seymour Hoffman (deceased-drug addiction), actor Cory Monteith (deceased-drug addiction), singer Amy Winehouse (deceased-alcoholism), author David Foster Wallace (deceased-depression),actor Jon Hamm (depression), TV personality Nicole Richie (anorexia), actress Karla Alvarez (deceased-anorexia/bulimia), actress Amanda Byne (bi-polar disorder), actor Howie Mandel (ocd) , reality TV star Vinnie Guadagnino (anxiety disorder), actress Brooke Shields (postpartum depression) is to become educated about the physiological causes of these disorders so that when you see the behaviors in friends and loved ones you can begin to educate and support them. Here is where the education begins, when otherwise high functioning people think and act in ways that defy facts and logic and threaten their well-being and the well-being of their loved ones, then we need to understand that they have a brain disorder, not a moral or character disorder; and they need medical treatment, not shaming, blaming, therapy or a sentence to a 12 step program. This means that alcoholism, drug addiction, eating disorders, suicide attempts, phobias, adhd, anxiety and depression, et al are all disorders of the brain and as such need the treatment of a medical doctor first. Here’s why this is true–otherwise high functioning people could not be high functioning without good judgment, good enough character, and at least average intelligence. If they can hold down a job, go about the activities of daily living, have friendships and loved ones, and display empathy towards others before and during their lapses, melt downs, relapses, et al., then their frontal lobes are fully functioning. The only explanation, for their behaviors then, is that their frontal lobes (where their high-functioning skills are located) have been hijacked by a different part of their brain. When someone’s brain is highjacking their frontal lobes, they need medical treatment. Blessedly, neuroscience is catching up with us and giving us facts about how our brains actually work. So it is time NOW to drop those stories we have made up and begin to apply the facts of neuroscience as we understand them to the untimely deaths of addicts of all kinds and to the public meltdowns of otherwise functioning adults. And it is way past time that we spread the word about what is really going on with these people who struggle mightily and their families who bear the burden of loving them and having to care for them. Remember, these people don’t know that their brains are broken. They are high-functioning and so they blame themselves. And they come to hate themselves for their problems more than you can imagine. They live in a dark and self-loathing world where they come to believe that they don’t deserve any help which is why they don’t surrender themselves for treatment. They need the help of their friends and families and the world around them in order to get around the obstacles of their broken brains to get help. When our entire culture understands as common sense that addiction is an individual neurological disorder that requires immediate medical attention then a person like Phillip Seymour Hoffman has a chance to understand that he has “one of those brains” that will shut down his frontal lobes and take away his ability to exercise good judgement and control of his behaviors. And until he knows this fact about his brain in same the way that he knows a bone sticking out of his leg means he needs to go to the ER, then him and those like him will not be able to ask for help. And a guy like Phillip Seymour Hoffman isn’t going to know these things until we all know them. And that time is NOW. Phillip Seymour Hoffman died from having a combination of sensitivities in his neural wiring that caused his brain to override his better judgement, take away his free will and caused him to take the actions that ultimately killed him. It appears that these sensitivities were unknowingly activated by a prescription of pain killers that were necessary at the time to treat a different medical condition. Because of his previous 23 years of being clean and sober he was presumed safe to take the pain medication. And it looks like what he and maybe even his doctors didn’t know about how his brain worked kept him from staying in treatment long enough to allow his brain to rewire itself around those sensitivities and render him clean and sober again. For this, like all addicts in this situation, he deserves our kindness and compassion. If this post has helped you to understand addiction please do share it. My passion is to help educate us all so that more people with neurological disorders will get the treatment they need. **A note to my 12-step friends: There are two caveats to the success of 12-step work 1) It works when you work it. and 2) You have to be honest, and some people are constitutionally incapable of being honest with themselves. There is no doubt that over the last 70+ years the 12-step community has the highest success rate among alcoholics of any other treatment modality. This community is also incredibly successful in the support of sobriety among drug addicts of all kinds. The problem lies in the millions of people who cannot meet the two criteria for success in a 12-step program due to other types of brain disorders. Their suffering demands that health professionals continue to seek out effective treatment strategies for them. I am certain that you have compassion for their plight and support these more unfortunate folks in their recovery. This entry was posted in Alcohol Addiction, Drug Addiction, Uncategorized and tagged holiday tips, people in recovery, sober, sober holiday, stay sober this holiday season on December 3, 2013 by bhhawaii. Holidays can be especially difficult for people in recovery. Here are some tips to help stay clean and sober this season. Make sure you have a way out. Bring your own beverages and/or sober support person. There is absolutely no reason to check out your former favorite establishments or drinking and using friends. Instead you can meet for coffee or breakfast but stay out of old haunts. To replace your old using patterns. If you’re in recovery, chances are your holiday season hasn’t gone so well in the past. Here is your opportunity to really show up for your family and friends with true holiday spirit! You can drive around to look at Christmas lights, make cookies, go to a play, or watch holiday movies. People at meetings understand what you’re going through. You can also pick up some more tips on how to cope through the holiday season. If you’re feeling particularly shaky then ‘double up’. Maui AA has an alcathon at Cameron Center every year. Check out www.aamaui.org for more information. This is a lethal combination for people in recovery. Those who are truly supportive of your recovery will be happy to help you throughout the holidays. Too much sugar and caffine can make cravings worse and cause mood swings that you don’t need during the holidays. Remember moderation. Eating healthy is important for recovery. There are many people in your community less fortunate than you. You will be helping not only the needy but also yourself. Maui AA central office can always use volunteers. You can reach them at 244-9673. Have a list of 10 people you can call. Carry the list and your cell phone at all times. Start getting used to calling these people now. It won’t be as uncomfortable as calling during a slippery situation. Live one day at a time and enjoy your recovery. Enjoy today, live today. Write out a gratitude list daily. Celebrate your recovery! This entry was posted in Uncategorized and tagged alcoholism, drug addiction, Drugs, family disease, Hawaii, Jamie Lee Curtis, Maui, recovery, Sobriety on May 10, 2013 by bhhawaii. This entry was posted in Uncategorized and tagged addiction, alcohol, alcoholism, drinking problem, Drugs, Hawaii, Maui, substance abuse, Vodka, Whiskey, Wine on May 2, 2013 by bhhawaii. This entry was posted in Uncategorized and tagged addiction, alcohol, alcoholism, Dependency, drug abuse, effects on the brain, substance abuse, treatment on April 8, 2013 by bhhawaii. It is important to understand that addiction is a problem with brain functioning. Addict/Alcoholic’s do terrible things but the are almost never terrible people. Once the person gets off the drugs and in recovery you start to see the real person emerge. It takes several months for the brain to heal. The addicted individual needs to be actively involved in some sort of treatment, sober support, or 12-step program. This entry was posted in Uncategorized and tagged addiction, adolscents, developing brain, Hawaii, marijuana, Maui, Northwest, pacific northwest, pot, seattle, Teens, weed on March 12, 2013 by bhhawaii. When I talk to my adolescent clients and their parents I am told that “everyone on Maui smokes weed.” I happen to know that statement is not true because I live on Maui and I do not smoke pot. Frank Couch talks about why it is important to know your policy. It is not “just marijuana.” You are putting a powerful substance on a brain that is still developing. Be informed. Here’s a great piece from MyNorthwest.com. This entry was posted in Uncategorized and tagged addiction, alcoholism, Christopher Kennedy Lawford, Christopher Lawford, drug addiction, family, family disease, Hawaii, John F. Kennedy, Kick Any Habit, Maui, recovery on March 12, 2013 by bhhawaii. Christopher Lawford (nephew of John F. Kennedy) is a Maui resident and willing to help our community raise awareness about the stigma attached to addiction, and to educate this community about what works and what does not work when dealing with addiction. In his book he talks about families educating themselves about enabling behaviors and how to break the cycle in the family. To quote ” You can throw them a rope but don’t go in the water,” is a great way to tell families they can help their loved ones only if they help themselves. Debbie Bayer is a licensed family therapist and addictions specialist, she has over 30 years of personal recovery from addiction. She lost her Mother to alcoholism in 1988. Debbie understands the disease of addiction both from the perspective of the addict/alcoholic but also from that of the family members. Read his full interview about his latest book, Recover to Live: Kick Any Habit, Manage Any Addiction here. This entry was posted in Uncategorized and tagged Brene Brown, Hawaii, Listening to Shame, Maui, TED, TED Talk, Vulnerability on March 7, 2013 by bhhawaii. What Does Marijuana Do to Your Brain? This entry was posted in Uncategorized and tagged addiction, Hawaii, hawaii drug, marijuana, maui addiction, maui alcohol counsel, maui drug counseling, Promises Recovery Center, recovery, substance abuse on March 1, 2013 by bhhawaii. Medical marijuana and the legalization of marijuana has brought up controversy in the recovery community. Most intensive outpatient facilities will not treat people on medical marijuana because it is too difficult to monitor how the person is using the substance, amongst various other reasons. Marijuana addiction can be as equally devastating to the life of its victims. It just doesn’t do it in such an obvious way as other drugs or alcohol. Please read the article posted by Promises Recovery Center in Malibu California here for more information.